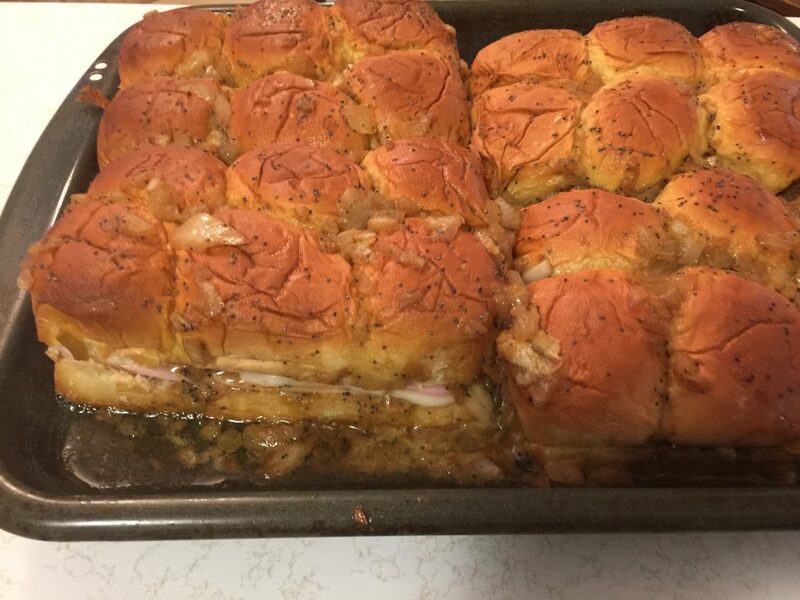 Continuing our theme for quick finger foods, these little faux ham sliders are everyone’s fave! What is not to love about Hawaiian rolls, melted Swiss with ham, or in this case, ham flavored meat? Anytime I have ever made these for a party, they were the first to get eaten up. 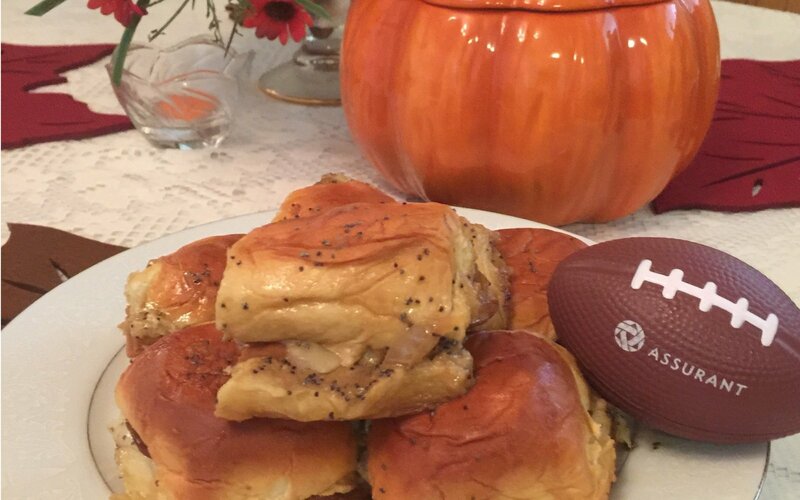 They will be a great addition to your next tailgate or gala and another great thing is, they are so easy to make. You begin by cutting in half the package of Hawaiian rolls. I don’t know what it is about these things that make them so good, but they are. You don’t necessarily have to use this brand, but i like the size of these. 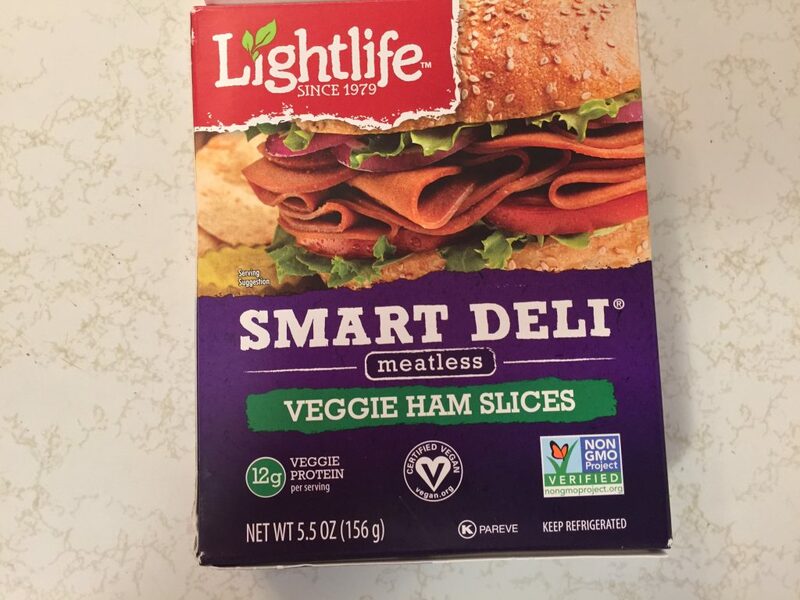 After you have done this, layer your veggie ham out on the bottom portion of the rolls. 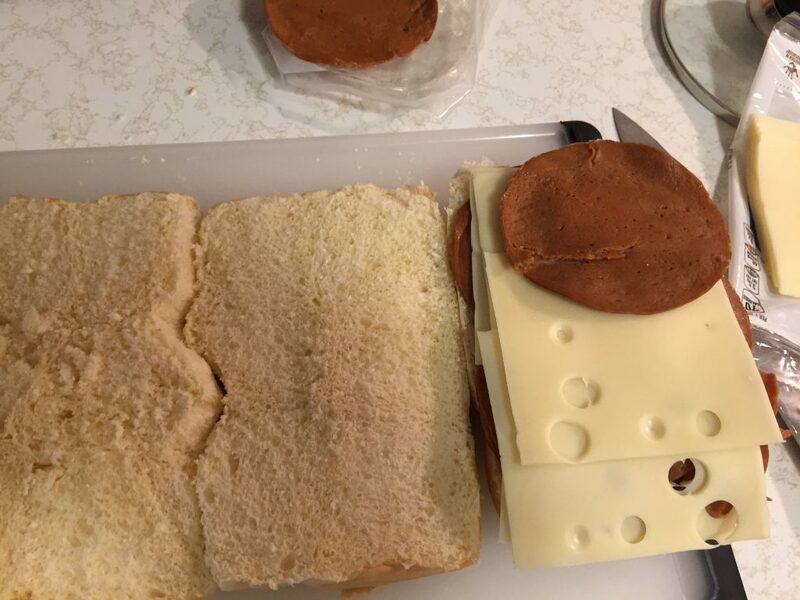 Then cover the ham with a layer of Swiss cheese. Place the roll top back on the rest of the sliders. Since I’m old school, I melt the butter in a small saucepan over low heat. You can also do this in a microwave. Once the butter has melted, add the Worcestershire sauce***, mustard, poppy seeds, and onions. I use plain yellow mustard because that is what my family prefers, but if you are a fan of Dijon mustard, you can use that in it’s place. The poppy seeds give it a little texture and adds to the appearance. 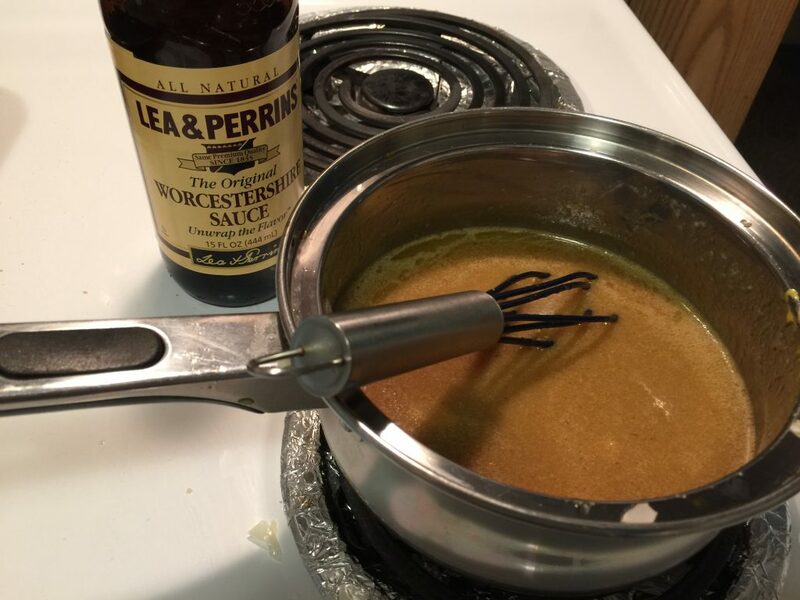 ***NOTE: Not all varieties of Lea & Perrins are vegetarian. If you do not allow anchovies in your vegetarian diet, check the ingredients list to ensure your Worcestershire does not have anchovies. Let the liquid mixture simmer for about five minutes to give all the ingredients time to come together. Then remove from heat and pour over the finished rolls. Make sure every roll gets coated completely. It is alright if some of the butter mixture runs off down the sides of the rolls. In fact, that makes them even better. 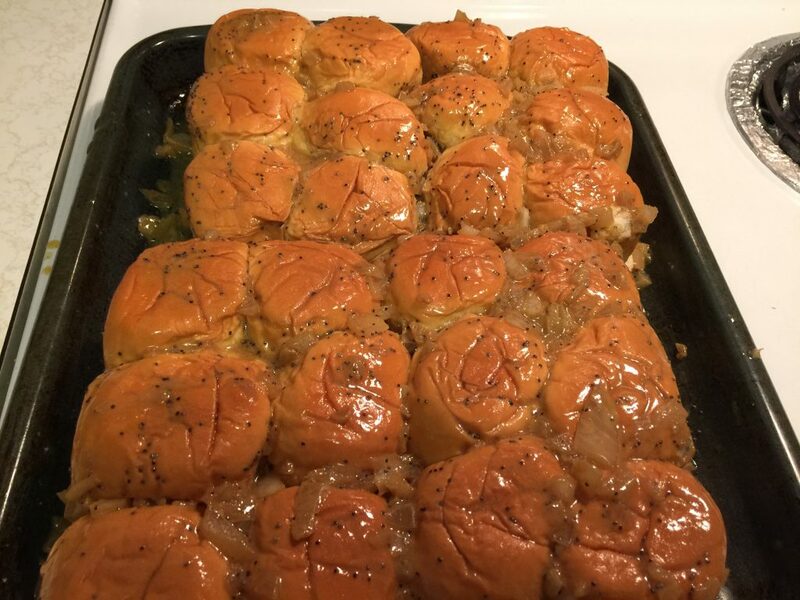 Once you have all the rolls coated, place them in the oven for 30 minutes until they are golden brown and you can see that the cheese is melted. Bake 350º for 30 minutes or until golden brown. And then be prepared to watch them disappear! 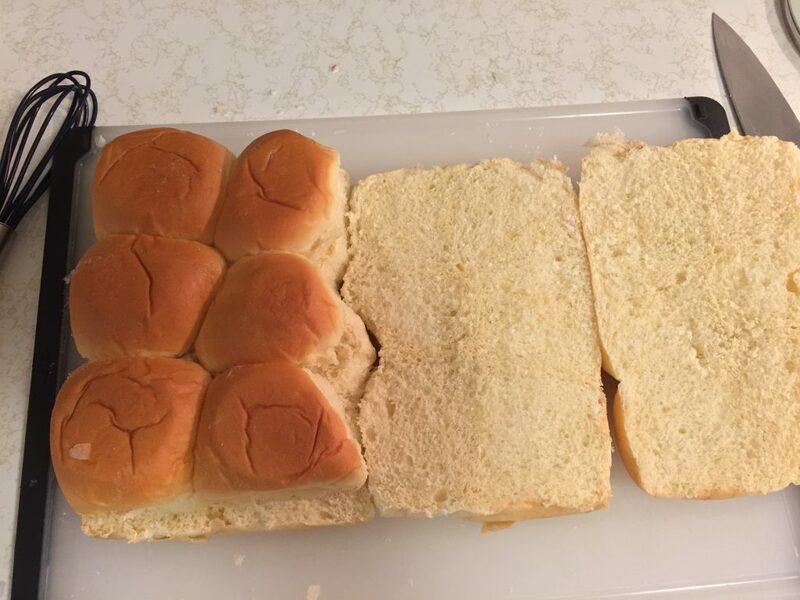 A great thing about these rolls is they freeze well. You can make them ahead, wrap in foil and when you need a party item or a quick snack, just put in the oven at 200º for about 30 minutes until they are thawed. 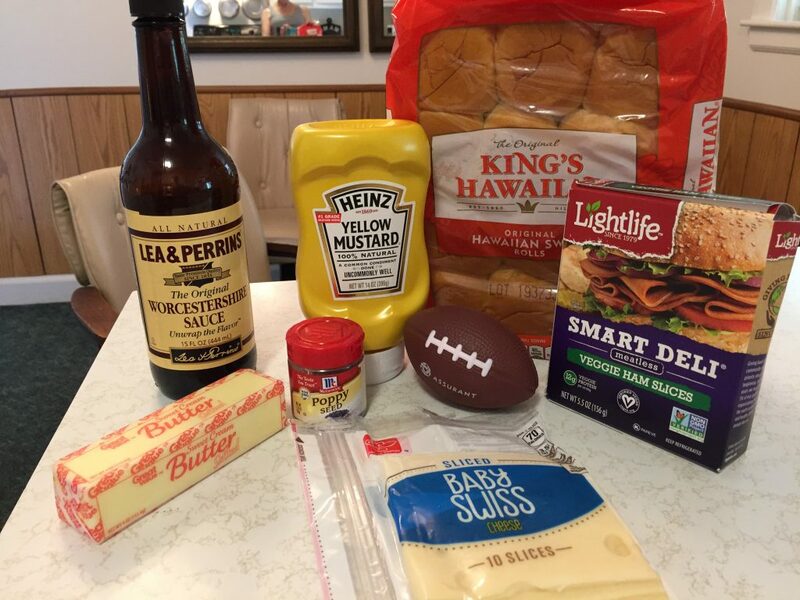 Stay tuned next Friday for our final tasty tailgating surprise!